Another sign that Asia is leading the revolution in the development of an Islamic Capital Market (ICM) is the latest encouraging data to emerge from Malaysia’s Securities Commission (SC), the countries securities regulator. The 2010 SC Annual Report, which was released in March 2011, confirms that the size of the ICM in Malaysia exceeded RM1.07 trillion at the end of 2010, thus breaking the RM1 trillion barrier for the first time. 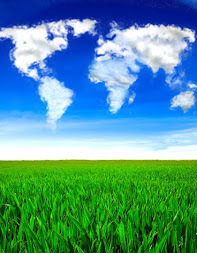 At the same time the ICM recorded an impressive growth of 15.2 percent in fiscal year 2010. In fact, the ICM is now growing at a rate equal if not faster than the conventional capital market. SC Chairman Zarinah Anwar stressed at the launch that the total Malaysian capital market per se reached the significant milestone of RM2 trillion at the end of 2010 — RM2.26 trillion at the end of 2010 to be precise, which is triple the RM717 billion size of the capital market in 2000 and which was achieved in a mere decade. The capital market, stressed Zarinah, had achieved an annual compounded growth of 11 percent from RM717 billion in 2000 due to the rapid industry expansion and strong regulatory oversight that underpinned investor confidence in the Malaysian capital market. 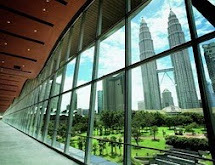 At the same time, the SC also has a medium-term plan for the Malaysian capital market. It is working on finalizing a new 5-year corporate governance blueprint and the 10-year Capital Market Masterplan 2 (CMP2) that are intended to articulate Malaysia’s strategies and agenda for the development and regulation of the capital market for the next decade. Both the blueprint and the CMP2 have dedicated components relating to the Islamic finance industry and the ICM. The above achievements would not have been possible without the proactive support of successive Malaysian governments, especially the current administration of Prime Minister Mohd Najib Abdul Razak. “The Malaysian government continues to play a vital role in supporting the development of ICM in order to strengthen its position as a premier Islamic capital market. In budget 2011, the government announced that Bursa Malaysia will develop an international board to enable foreign securities to be listed including Shariah-compliant products. 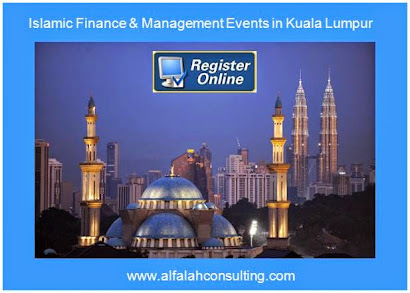 The government also proposed that expenses incurred for the issuance of Islamic securities pursuant to the principles of Murabaha or Bai’ bithaman ajil based on Tawarruq (a tripartite arrangement) be tax deductible with the objective of maintaining the competitiveness of the sukuk market. This incentive will commence from year of assessment 2011 until 2015. Aside from benefiting sukuk issuers who utilize any commodity trading platform in facilitating the sukuk issuance, this tax incentive will also strengthen Malaysia’s position as the leading sukuk market,” explained the SC in a statement. The latest statistics underpin the strong support which the Malaysian government and the SC have afforded the development of the ICM over the last few years. The ICM totaled RM1,074.1 billion at the end of 2010, slightly lower than the conventional capital market which reached RM1.19 trillion for the same period. The ICM comprised RM756.1 billion in Islamic equities (mainly mutual funds); RM294 billion in sukuk issuances; and RM24 billion in Islamic unit trusts. This compared with RM519.2 billion for conventional equities; RM464.7 billion for conventional bonds; and RM202.8 billion for conventional unit trusts. Fund-raising through Shariah-compliant instruments, according to the SC, continued to retain its popularity. The commission approved 21 sukuk issues with a value of RM40.3 billion; which accounted for 63.4 percent of total bond approvals in value in 2010. The sukuk Musharakah represented RM16.7 billion or 42.1 percent of total sukuk approvals, which also underlines the wider cross-border evolution of the Malaysian ICM because asset-backed and asset-based sukuk originations have greater universal acceptance and appeal. Indeed, Malaysian intermediations continued to expand presence in the market — both at home and abroad. CIMB Islamic played a leading role in the landmark $500 million foreign currency sukuk EMAS issued by the Islamic Development Bank in December 2010. 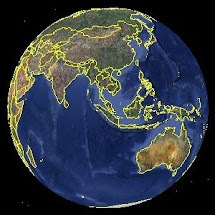 Prudential Fund Management Bhd became the first Malaysian intermediary to take advantage of the mutual recognition agreement with Dubai for cross-border distribution of Islamic funds and launched its Prudential Shariah Opportunities-Asia Pacific Equity Fund in December 2010. The number of Islamic fund management companies also increased to 15 with the approval of four new Islamic fund management licenses in 2010. The priorities for 2011, stressed the SC, are to further strengthen the positioning of the capital market to meet the future fund-raising requirements for the Malaysian government’s Economic Transformation Program (ETP) as well as meet national aspirations for socially inclusive and sustainable growth. In this respect, the SC will launch the private pension scheme framework to complement the existing mandatory pension scheme and provide greater choice for contributors to augment their retirement savings. In view of the recent resurgence in volatility in global markets, the SC will give priority to intensifying its surveillance of market conditions and will continue to place emphasis on strengthening intermediary resilience to potential risks from the external environment. The performance highlights of the Malaysian capital markets in 2010 included: Equity market capitalization grew by 27 percent from RM979 billion in 2009 to RM1.2 trillion in 2010 as market sentiment improved on the back of the launch of the new economic programs; The FBMKLCI closed at an all-time high of 1,528.01 points on Nov. 10 and has consistently outperformed emerging and advanced market indices. The FBMKLCI rose by 19 percent for the year, compared to MSCI Emerging Market Index’s 16 percent and the MSCI World Index’s 10 percent; The initial public offering (IPO) market was also buoyant with 29 new listings in 2010. This was double the 14 listings recorded in 2009; The bond market recorded steady growth with outstanding debt securities rising by 16.2 percent from RM653.2 billion in 2009 to RM758.7 billion in 2010; assets under management grew from RM315 billion in 2009 to RM377 billion in 2010; a growth rate of 19.8 percent; The unit trust industry net asset value (NAV) grew by 18.3 percent from RM191.7 billion in 2009 to RM226.8 billion in 2010; and two real estate investment trusts (REITs) were listed during 2010 with a combined value of over RM4 billion. 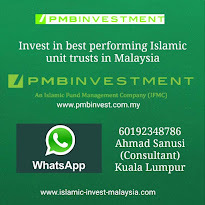 In fact, Malaysia at end December 2010, had 3 Islamic REITS with a total market capitalization of RM2.3 billion. During the year, the SC intensified its prudential and conduct supervision of market institutions and intermediaries and enhanced its oversight functions, especially its surveillance framework. The SC’s Audit Oversight Board (AOB) and The Securities Industry Dispute Resolution Center (SIDREC) also started operations in 2010. The SC in 2010 also initiated new market opportunities through various cross-border regulatory arrangements to facilitate domestic intermediaries to expand their operations across borders as well as to promote greater inflows into Malaysia’s capital market. These included securing China’s approval for Malaysia to be recognized as an approved investment destination under China’s Qualified Domestic Institutional Investor (QDII) scheme administered by the China Banking Regulatory Commission (CBRC) in June; securing the United States Commodity Futures Trading Commission (US CFTC)’s approval permitting trading participants (futures brokers) of Bursa Malaysia Derivatives Berhad (BMD) to solicit and accept orders and customer funds directly from US customers without the need to register separately as a futures broker in the US; the signing of memoranda of understanding (MOUs) with the Capital Markets Board of Turkey (CMB), the Qatar Financial Markets Authority and Securities and Exchange Board of India (SEBI) to pave the way for closer regulatory collaboration to facilitate greater cross-border flows between the two countries; and the upgrading by the FTSE of Malaysia to an advanced emerging markets status within the FTSE’s Global Equity Index series.